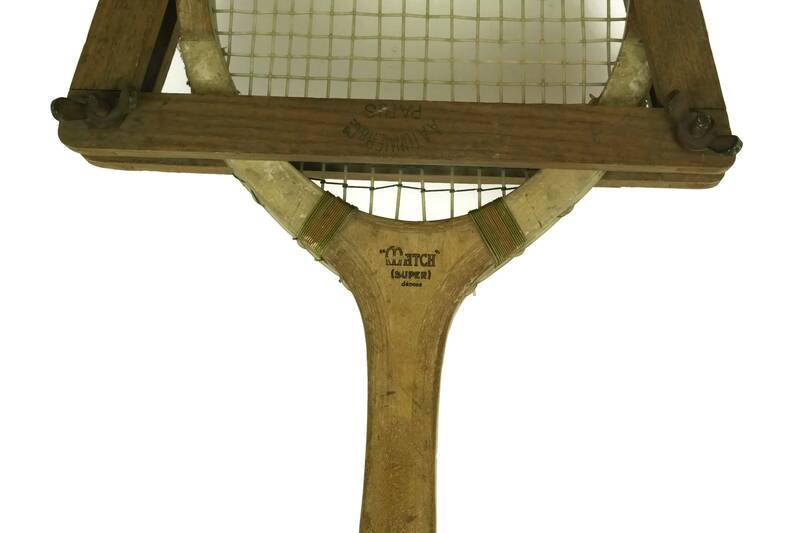 French Vintage Tennis Racquet and Frame. 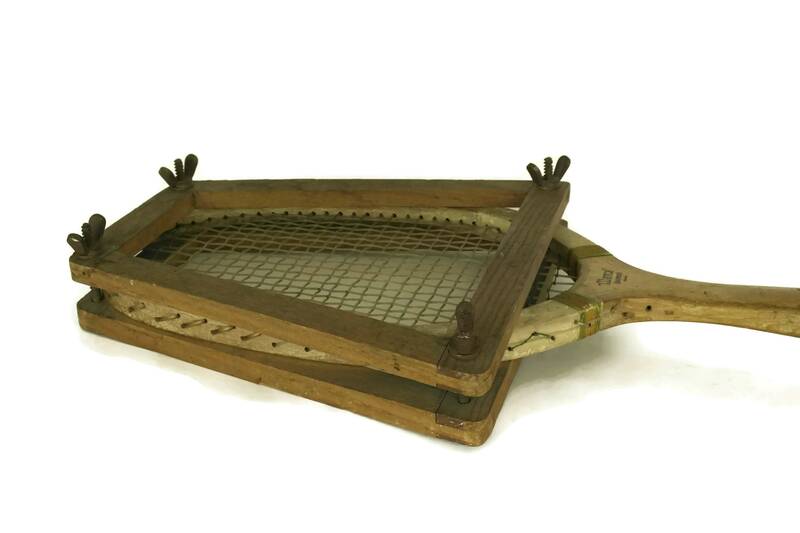 Wooden Racket and Press. 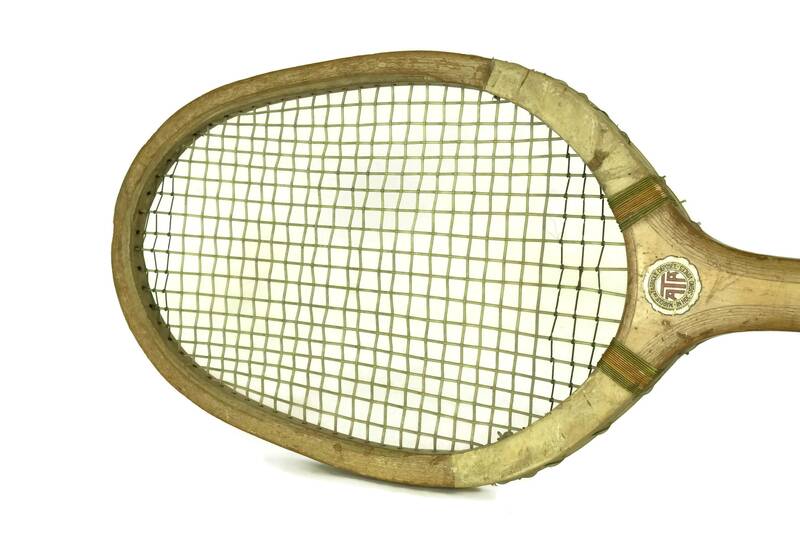 Sports Decor and Gifts. 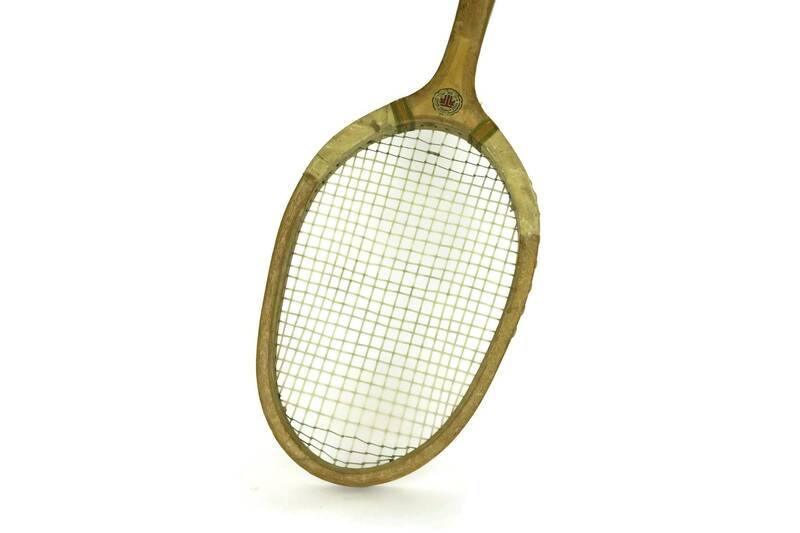 A vintage French tennis racquet and frame dating to the early mid century. 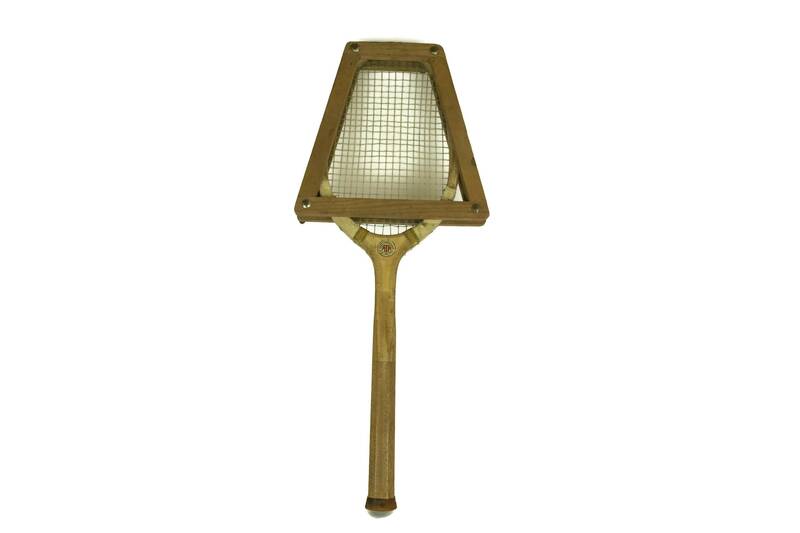 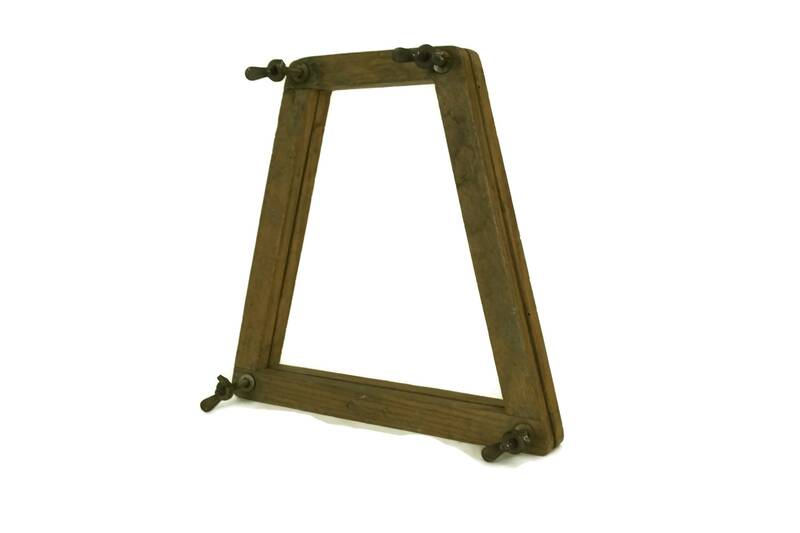 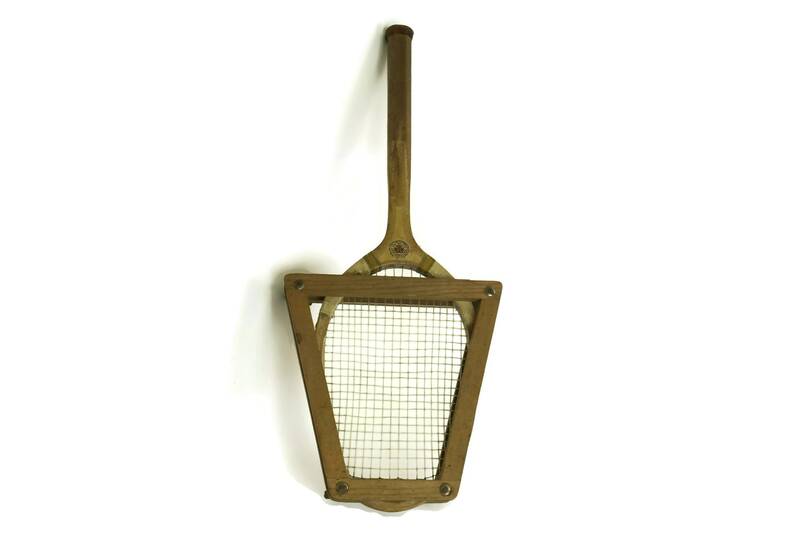 The wooden racket and press were manufactured by the A A Tunmer company of Paris and come from their "Match" series. 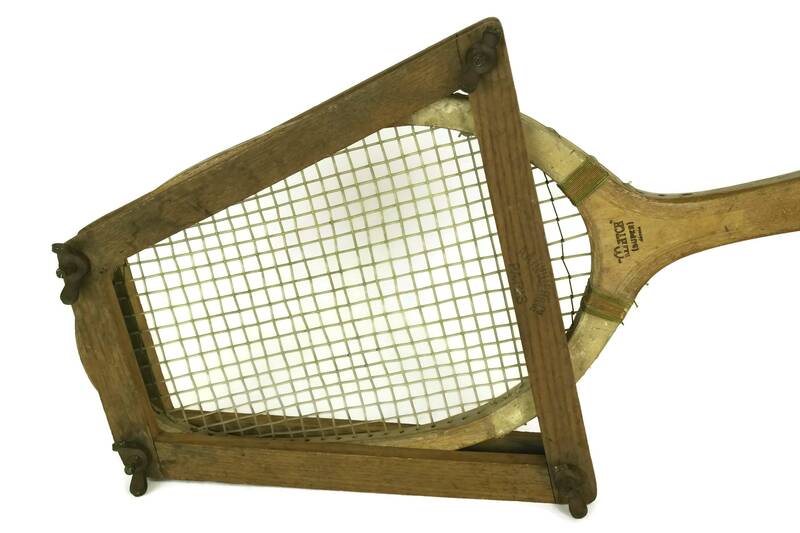 The wooden tennis racquet and press frame are in good vintage condition with signs of age and wearuse. 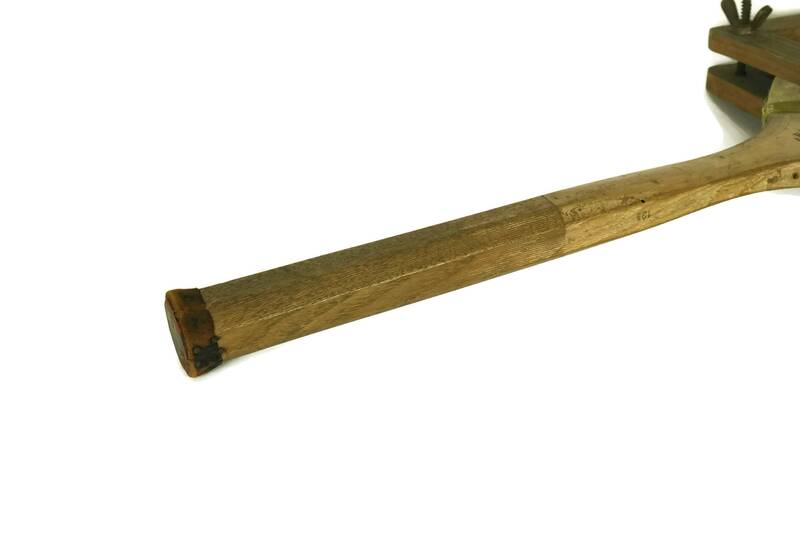 There are surface marks, scratches and patina to the wood. 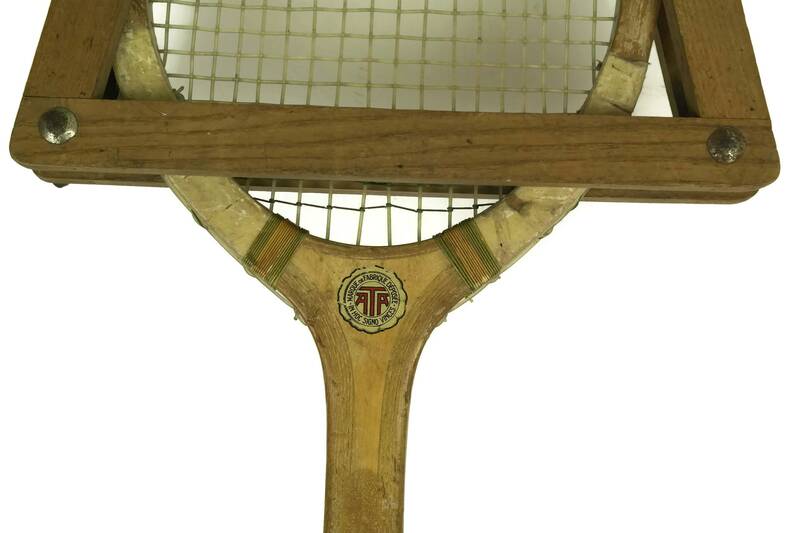 The racquet strings are worn in places.